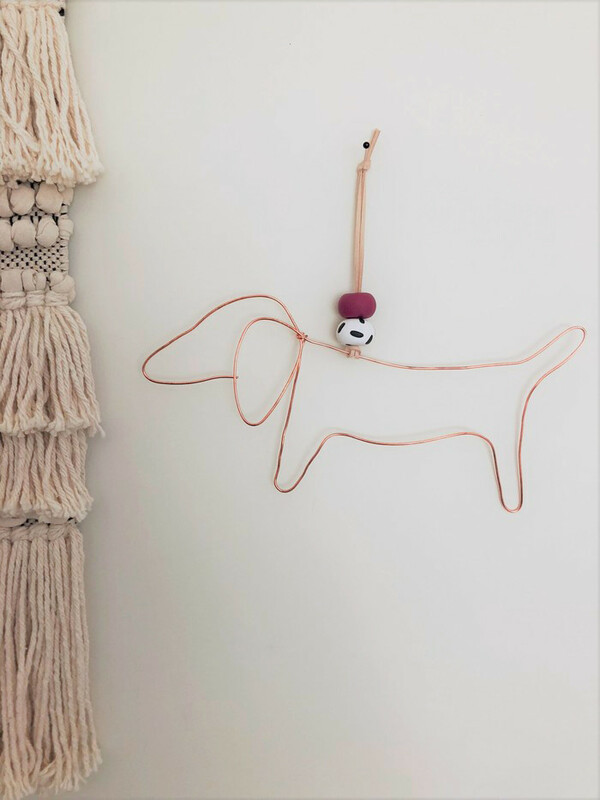 This fun wall sculpture of a dachshund is constructed with copper wire, and features the addition of two decorative handmade polymer beads, in dalmation and grape. Measures approx 28cm long x 13cm high (from beads to bottom, not including hanging strap). Strung with natural suede thonging. Super lightweight, can hang on a sewing pin, hook, or over a door handle.